Play a game a mini golf with a variety of fun obstacles. 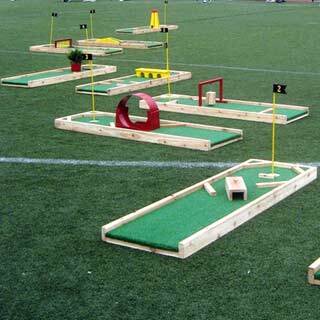 Miniature Golf features a variety of challenges and obstacles and includes the individual holes, golf clubs, balls, score cards and attendant. Choose from 3, 6 or 9-hole courses.